HERE IS A SIMPLE TIP FOR THOSE WHO HAVE VERY SHORT HAIR DOGS, BOXERS, GREYHOUNDS, CHIHUAHUAS and the list goes on! When the temperature goes below -20 Celsius, dogs with short fur can end up experiencing vascular damage to their ears (the first stage of frost bite) in a relatively short time period - development can occur during a 30 to 40 minute walk. 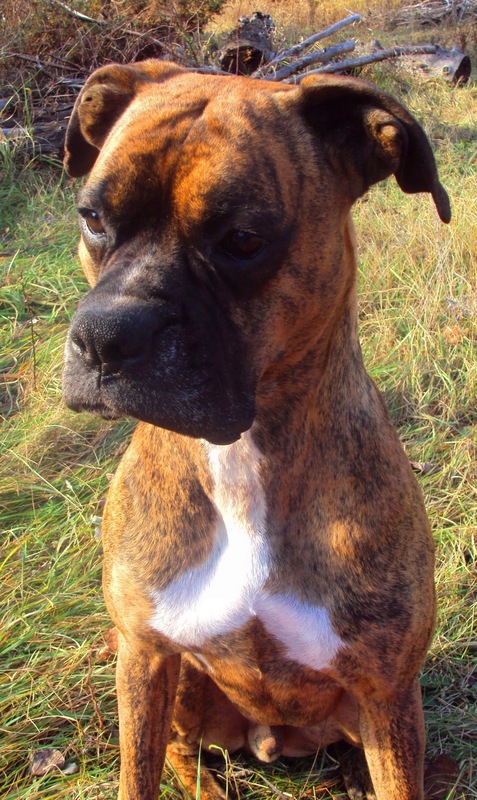 I noticed one day that my Boxer Robbie, was starting to get a cut at the edge of his ear. I thought it odd as I had not seen it there earlier in the day. With 10 dogs, you don’t run to the Veterinarian every time something comes up (non-emergency items). You try to see what conclusions you can come to first. So, I thought while we walked - he has not run since this morning -so it’s not a cut from dashing thorough the woods and he was not playing with his pack mates this morning. The temperature was in the -20’s, and there was a nasty wind-chill. In fact, we were experiencing multiple days of deep cold. So I thought a little more, put two and two together and realized it had to be the start of frost bite! I headed home with my pack and knew I would have to find a quick and affective remedy. He wears a coat in cold weather, but to cover his ears with a hood is not practical! When seeking solutions I try to relate things back to how I treat similar conditions for myself. My hands get really beat up by the cold. Before I take the dogs for their walk in the depth of winter, I usually put a thin layer of petroleum jelly on my hands. That way if I have to take my gloves off, my hands have a little protection. And that was it! I figured petroleum jelly would work on him too! So, I put petroleum jelly around the edges of my Boxer’s ears when we went out in the deep cold for our daily walks. It worked well. The cut healed back-up quickly despite that fact that he was out for two walks a day in the cold. He has never had a recurrence even when out in -30 Celsius. The petroleum jelly gets absorbed into the skin so there is no greasy mess, even when you apply it on a daily basis. So, if you are taking your short hair dog out in extreme cold, don’t forget your dog’s jacket and put a little petroleum jelly all around the edge of his/her ears! In the winter I also give him ginger (powder form, dried or fresh sliced) to help increase his circulation - this also helps stave-off frostbite.